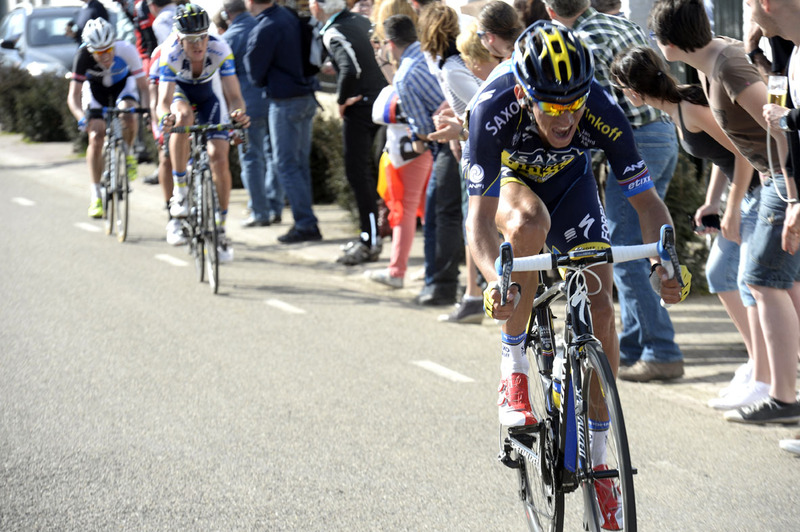 Roman Kreuziger (Saxo-Tinkoff) fought hard to take a solo win at the Amstel Gold Race in the Netherlands on Sunday. Alejandro Valverde (Movistar) took the sprint from the chase group for second place ahead of Simon Gerrans (Orica-GreenEdge) in third. 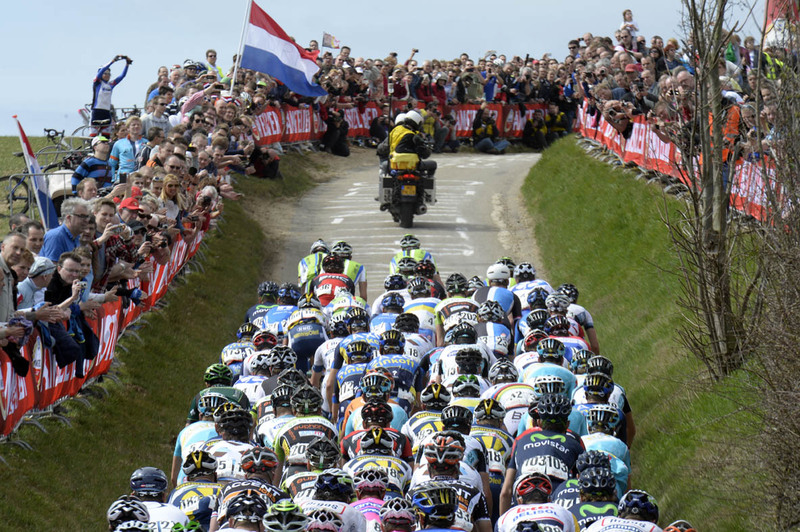 Kreuziger attacked fellow escapees Pieter Weening (Orica-GreenEdge) and Giampaolo Caruso (Katusha) – all remnants of an earlier, larger group – before the final ascent of the Cauberg. The Czech rider kept enough momentum to hold off the chasing peloton through to the race’s new finish line position, just under 2km from the Cauberg. 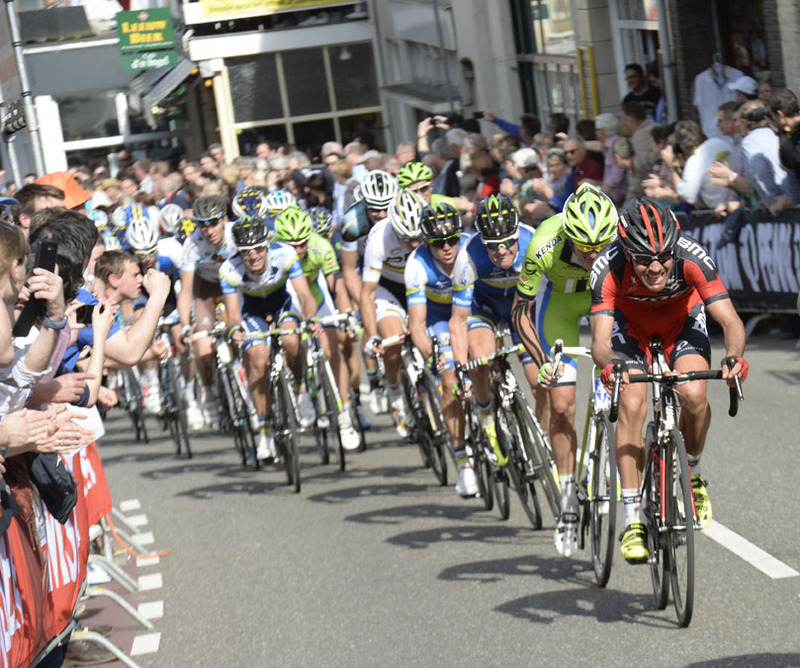 Philippe Gilbert (BMC Racing) failed to make it into the podium positions despite attacking on the final ascent of the Cauberg. Gilbert set a blistering pace up the climb, passing remnants of the earlier escape group and splintering the bunch. He was followed by Gerrans and Valverde, and although Gilbert had put some fresh air between him and his two pursuers at the top of the climb, they caught up with him as they passed under the kilometre-to-go banner. Up front, Kreuziger had time to look back, check he wasn’t about to be caught and then raise his arms in celebration as he freewheeled over the line. 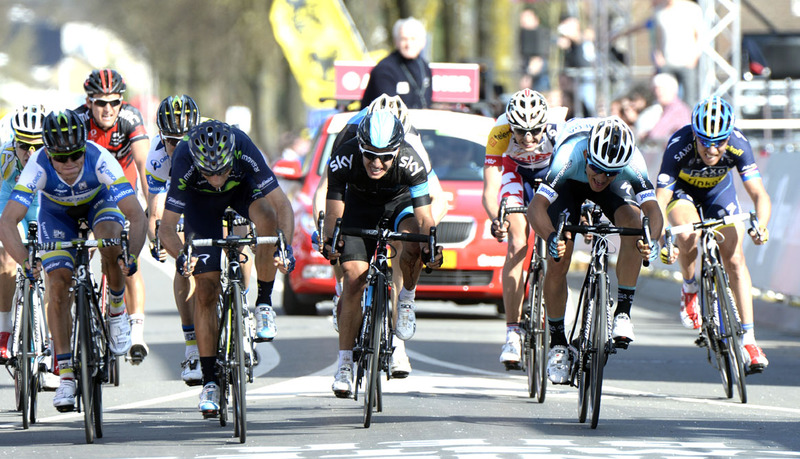 Gilbert, Valverde and Gerrans slowed slightly, allowing them to be caught by what was left of the bunch. Gilbert led out the sprint, but his final effort on the Cauberg left him with little in the legs and he was swamped on the line, settling for fifth. With Fleche Wallonne on Wednesday (April 17), and Liege-Bastogne-Liege next Sunday (April 21), Kreuziger wasn’t keen on over-doing the victory celebrations. “Maybe we’ll have a glass of Champagne tonight but there’s a tough week ahead of us and we have to focus on the job,” he said. Pre-race favourite Peter Sagan (Cannondale) reportedly suffered with the warm temperatures on the race’s 34 climbs and finished nearly a minute down on Kreuziger in 36th place. Thomas Voeckler (Europcar) and Andy Schleck (RadioShack) did not finish after getting caught up in a crash. A trip to hospital confirmed that Voeckler had fractured his collarbone. Josh Edmondson (Sky) was the only British finisher, placing 96th at 13’15”. Fellow Brits Jonathan Tiernan-Locke (Sky), Russell Downing (NetApp-Endura) and Scott Thwaites (NetApp-Endura) were all non-finishers. Read Cycling Weekly magazine on the day of release wherever you are in the world International digital edition, UK digital edition. And if you like us, rate us!